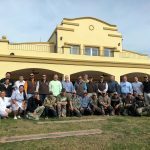 After a very rainy summer, thanks to El Niño Current, we thought that we were going to have a difficult beginning of hunting season in both areas were we have the lodges, being located by important rivers and near places that were affected by the water. The surprise was that May came with low temperatures and that the rain stopped, the ducks came in, the doves never left and the hunts have been incredible for all the species that we have at Malalcue Lodge and Estancia Cortaderas; Doves, pigeons, partridges and ducks giving us no hard time and guests being able to reach the limits every day. 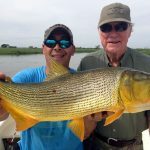 The Dorado fishing has been outstanding so most of the guests that have visited us did some fishing just right out of the lodge and with very successful results! 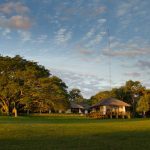 To the great hunting there have also been changes and additions to the lodges, which have proved to be excellent for both places. Last year Malalcue Lodge had a lot of renovations and this season started with a new manager, Boris and we are happy to welcome him to the team. Also at Cortaderas we have new staff, being Joaquin the new chef and very promising! When you visit us you will also be surprised by the new wine area at the lodge were you will find a fine selection of Argentinian wines to enjoy with your meals or by the fire pit. As I mentioned before, the hunts have been excellent. We are doing the duck hunts by morning and with very decent hours, no need to wake up at 4 am as we are close to the hunting areas and this makes the guest very happy. The perdiz hunts are also by morning and so much fun with the dogs, those pointers are the best and will find and point each bird at the right moment. 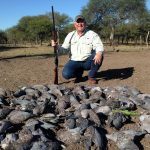 The typical itinerary will give you 2 mornings duck hunts, 2 mornings perdiz, then a full day of pigeons and here you will enjoy a fantastic lunch at the field with a no limit hunt. In the afternoons high volume dove shooting that will give you the perfect excuse to have a massage at the end of the day at the Spa and enjoy the Sauna. We are almost in mid-season of the mixed bag, it ends August 31st, and so far it looks amazing. There is only one thing missing… YOU!! Contact us to enjoy this incredible experience or visit us for our Cast & Blast season and take advantage of the best dove hunting combined with Dorado Fishing! 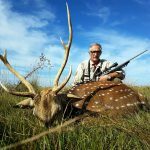 Ask for our hunting packages!